Avid motorhomers aspire to get out there and ‘cry freedom’. But, as in most aspects of life, we’re invariably dictated by a budget. 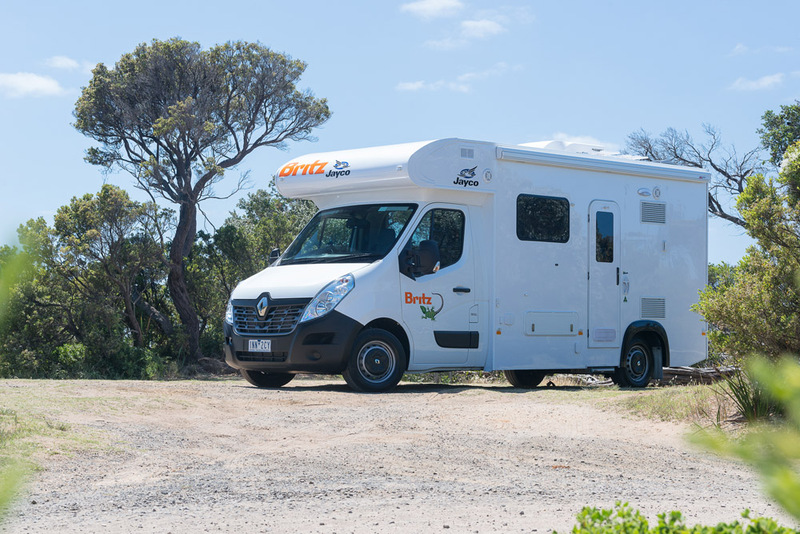 Hence the growing popularity of ex-rental RVs such as the 6.5m (21ft 4in) Jayco Freedom I recently tested in Victoria's seaside hamlet of Barwon Heads and immediate surrounds. This motorhome, with around 50,000km on the clock and an enticing $85,000 price tag, is in pristine condition and to my mind represents excellent value for money. 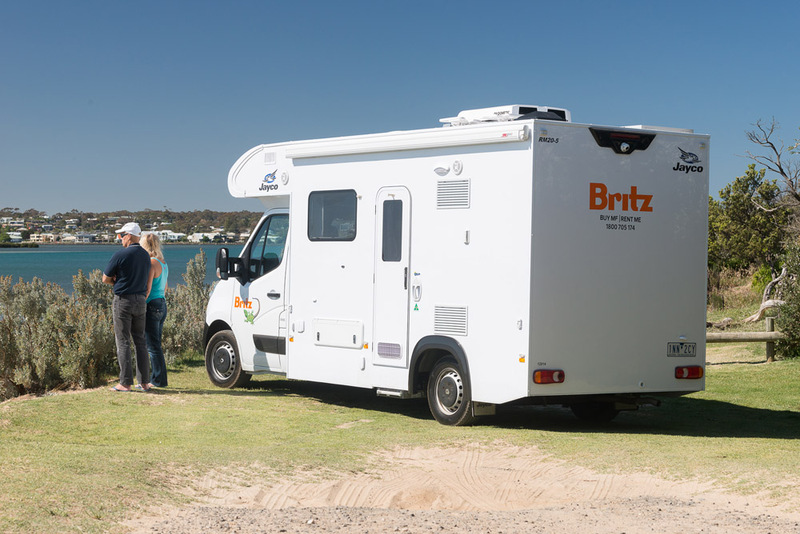 So it came as no surprise that the Jayco Freedom was in its element, either stationary on the Barwon Heads foreshore or while cruising along some winding stretches of the Great Ocean Road. Taking the Freedom to this region certainly provided me with an early taste of summer, and cut a dashing figure crossing the historic 1927-built Barwon Heads Bridge over the Barwon River estuary and along the rocky coastal headland and ocean beaches. Such was the feeling of relaxation that CW's photographer extraordinaire Cam Inniss and I even found time for a quick bite to eat at the iconic Barwon Heads Hotel, built in 1935. The Jayco Freedom doesn’t pretend to be top-end, but I liked its internal practicality. This includes an easy-to-operate electric lift-up double bed (1.95m x1.43m) that maximises space, and a generous-sized kitchen and full ensuite complete with separate shower and toilet, and a ceramic washbasin (with flick mixer tap) recessed into a curved vanity bench. I’m also impressed with a concertina-style privacy screen for the ensuite. There’s also a privacy curtain separating the driver’s cab from the living zone. Additionally, the driver’s cabin was comfortable and spacious. Ditto, the aluminium-framed dinette smartly appointed in fabric upholstery. There is also abundant storage space, which is invaluable for extended motorhoming forays. The Jayco Freedom also has an external slide-out Swift Slimline two-burner barbecue grill cooktop — absolutely perfect for al fresco living! 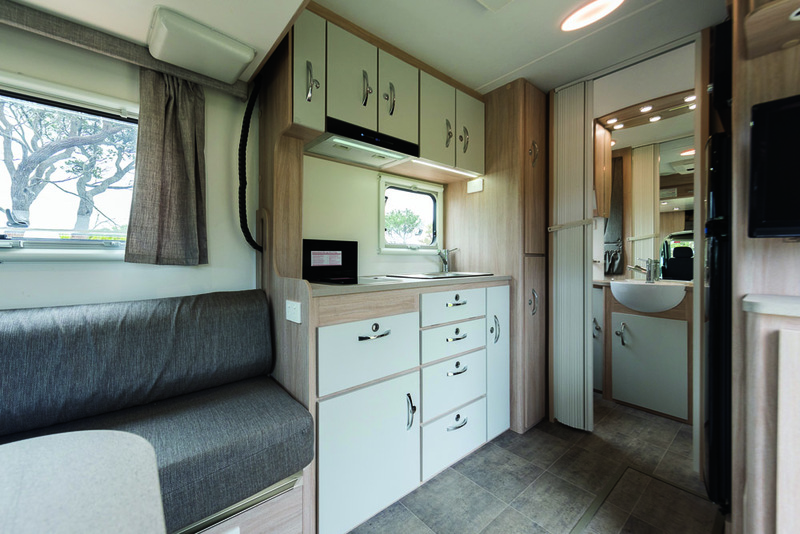 It’s a quintessential Jayco motorhome in terms of construction, including a high-gloss hail-resistant fibreglass exterior; aluminium frame; multi-layered, vacuum-bonded walls; and internal high-density polystyrene foam insulation. The Renault Master that the Freedom is based on has a 2.3L four-cylinder turbodiesel engine and six-speed automated manual transmission. I’m equally impressed with its relatively smooth transition through the gears along with its fuel economy that delivered around 11L/100km while out on the open road. And it’s got some grunt producing 110kW maximum power and 350Nm maximum torque. Yes, it has the power when it counts! The Freedom also has a 100L fuel tank, which is more than handy when ‘diesel stops’ aren’t as readily available. Every traveller needs a pitstop, and the Jayco Freedom rises to the occasion in the mod con stakes. It comprises the majority of requisites including a Dometic two-burner gas cooktop, 185L Thetford three-way fridge, Sphere microwave (above the fridge), 12V rangehood with LED lights and twin fans, hot/cold pressurised water, and the aforementioned separate shower and toilet. There is abundant storage above and below the cooktop and sink. And there are two large wardrobes (one with hanging space) wedged between the kitchen and ensuite. Climatic comfort is covered off with 240V air-conditioning and heating both in the driver’s cab and main cab (Dometic). The Jayco Freedom also carries 65L of freshwater and 45L of grey water, and has a 120Ah battery and 120W of solar power. In standard kit the Jayco Freedom features items like anti-lock brakes, four-wheel disc brakes, stability control, driver and passenger airbags, laminated windscreen, power steering, cabin floor carpet, armrests, keyless central locking, and cruise control. It also comprises double-glazed, push-out windows with roller blinds, LED strip lights under the overhead cupboards, Winegard TV aerial, reversing camera, and a lockable 9kg gas cylinder compartment. 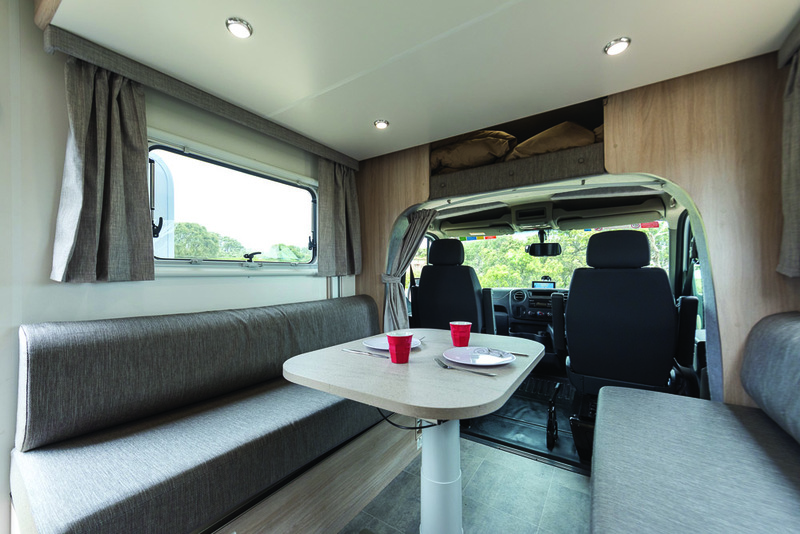 This particular motorhome also has the following options fitted: driver’s cab entertainment (radio, aux input, Bluetooth); house cab entertainment (19in flatscreen TV/DVD, Furrion stereo CD/DVD/ radio system); and a fixed awning. The Furrion ‘entertainment system’ and a JControl panel are located above the TV, and below is more storage space with a benchtop. Meanwhile, the roof lights and annexe light switches are conveniently situated together, while the water heater switch and bed lift up/down switches are in close proximity to each other. 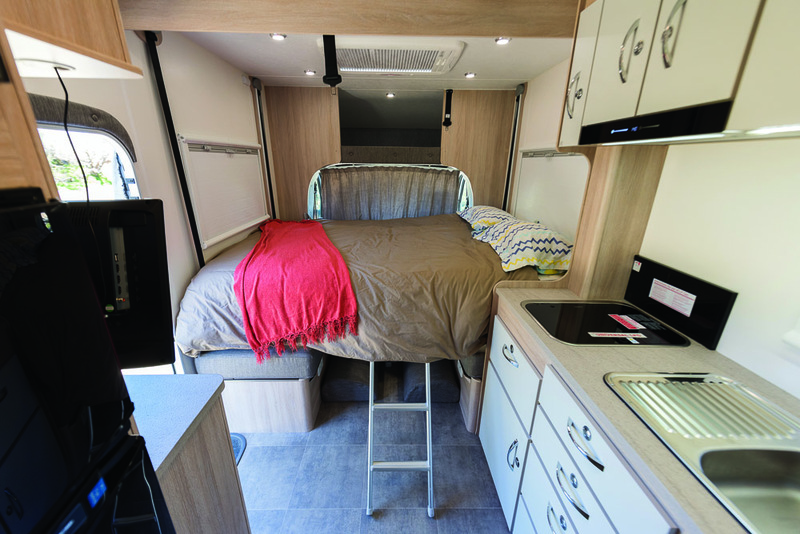 The Jayco Freedom has a 3.15m travel height, which means you will require a relatively tall carport to store it, and its 2.31m width means said carport will also need a sizeable girth. Mind you, I’d welcome this motorhome on the home front and wouldn’t hesitate to improvise on its ‘stabling’ if necessary. And while we are talking about RV ownership… Well, it’s a no brainer compared to a rental where occasionally the availability of booking one for a holiday can throw a spanner in the works. There’s nothing more convenient than going on a motorhome excursion when and where you want, and to that end owning an RV such as the Jayco Freedom provides the flexibility to better plan your next trip. Another aspect worth considering with purchasing a pre-loved motorhome is the decrease in value of a new asset. By that, I mean purchasing a used RV from a THL subsidiary such as the RV Sales Centre can potentially offer better value for money. OK, you’re probably not going to receive the whole kit and caboodle that a new model can possess, but you’ll still have the time of your life all the same! You’ll definitely feel as free as a bird landing in summer destinations with the Jayco Freedom.